I don’t know if this New Orleans-Style BBQ Chicken recipe is a Red Beans & Eric exclusive or not, but I’ve never seen it anywhere else. Don’t be confused. I’m not talking about a grilled chicken slathered in a BBQ sauce. I’m talking about my version of the iconic BBQ Shrimp that was made famous by the uptown New Orleans Italian restaurant, Pascal’s Manale but with chicken. My BBQ Chicken isn’t about a sticky sauce and lickin’ your fingers. This recipe is chicken prepared in a rich butter sauce and flavored with Worcestershire sauce, lots of black pepper, and lemon – it’s lip smackin’ good! The story of my New Orleans-Style BBQ Chicken recipe is similar to that of the original shrimp version from Pascal’s Manale. Kind of. Sort of. Sometime in the 1950’s, a regular customer of Pascal’s Manale, Vincent Sutro, had recently returned from a business trip to Chicago. He was ordering his dinner. He wanted a meal that he had in Chicago and was trying to explain it to Pascal’s Manale’s chef, Jake Radosta. Sutro knew that the meal had shrimp, butter, and lots of pepper and he wanted to see if Radosta could try and recreate it. Radosta tried his best to make what Sutra described. He presented his creation to the loyal customer. Sutro tasted it and said that Radosta’s version was not what he had in Chicago. This version was even better. The restaurant decided to put the shrimp dinner on the menu and the rest is history. Sometime in 2018 – May to be exact – I was reading through a cookbook and stopped on a BBQ Shrimp recipe. It brought back memories of the time when I made a version of it a few years back and I started to crave that buttery, peppery, lemon flavors. Much like Sutro from his trip to Chicago, I wanted to recreate that flavor in the kitchen. However, it’s hard for me to make a batch of BBQ Shrimp because my wife is allergic to shellfish. Like Radosta, I went into the kitchen and tried to make what I described to myself but swapped out the shrimp for chicken. We eat a lot of Chinese food. My oldest son could eat Sweet & Sour Chicken every day, as could my wife. I love it too, but I usually go for either Chicken lo mein or Lemon Chicken. What I created in the kitchen was similar to a Lemon Chicken but with a rich, sweet, buttery sauce that was absolutely a-mazing. I could not stop eating this dinner. There were no leftovers when we were finished. It was funny. My wife and I just sat back and stared at our empty plates. There was nothing left but the faded streaks of the butter sauce that the French bread had smeared. When I make this New Orleans-Style BBQ Chicken again, I’m doubling up the recipe – it was that good. What I like about it the most, is that my wife can get the flavor of the New Orleans-Style BBQ Shrimp without having to worry about her food allergy affecting her. That’s a win, for sure. In a large mixing bowl, dredge the cut up pieces of chicken in the flour, spices, and black pepper. The secret ingredient to this meal is lots of black pepper – don’t be shy when shaking it into the bowl. Melt butter in the pan to saute the chicken in. It may not be the healthiest, but it’s the start of a damn good sauce. Plus, you’re not eating this every day – though I could! Add the seasoned chicken and saute in the butter. Pour in the premixed sauce. Add lemon slices. Simmer the chicken until it’s cooked through. Flip the chicken pieces so they cook evenly. You can see that buttery reddish tint the chicken takes on that makes them look similar to the shrimp version. My New Orleans-Style BBQ Chicken placed in the serving bowl. Be sure to pour the pan juices into the bowl (and served on the plate). You will want to soak those juices up with hot French bread. To make this a complete meal, I serve this chicken over hot cooked white rice and with this Lemon Roasted Asparagus. Of course, hot French bread is a must. Let me know what you think of this recipe in the comment section below. 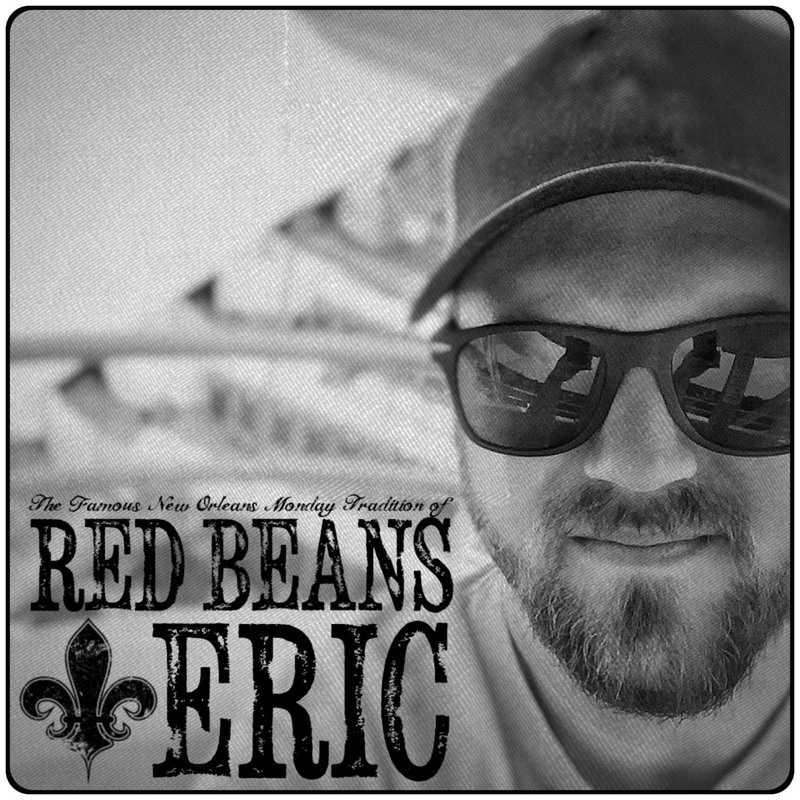 If you make it, be sure to tag me (@redbeansanderic), or use the hashtag #RedBeansAndEric so I can see it. In a mixing bowl, add cubed pieces of chicken, flour, black pepper, Creole seasoning, and garlic powder. Combine making sure that the chicken pieces are well coated. In a large skillet, over medium-heat, melt the butter. Add the seasoned chicken and pan-fry until chicken is browned. Carefully pour the Worcestershire mixture into the skillet. Bring the sauce to a boil then lower heat to Medium-Low and continue to cook until chicken is completely cooked through. Remove the skillet from heat, place chicken on a plate and top with the sauce. Garnish with chopped green onions and serve with fresh, hot French bread. Enjoy! For the original BBQ Shrimp you need to visit Pascal’s Manale in New Orleans. They are located at 1838 Napoleon Avenue. You can also find other restaurants serving up this classic dish around town. Another popular spot to find this classic dish is at Mr. B’s on Royal Street. 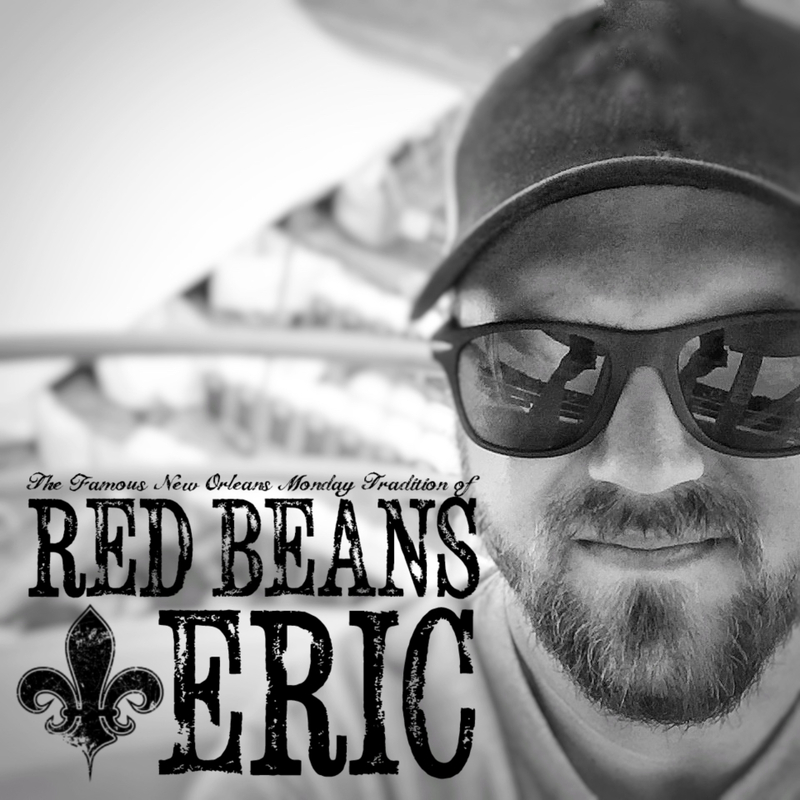 If you enjoyed this recipe, please subscribe to the Red Beans & Eric Newsletter so you don’t miss another recipe or interview. I’ll even send you a free e-cookbook that includes some of the most popular recipes from the website. You can always stay in touch with me by leaving a comment in the section below, by clicking here or messaging me on any of the social media sites that I am on. Did you make this recipe? Be sure to tag me on it! I want to see it and hear what you thought of it. Oh. My. Goodness. My mouth started watering looking at these photos, and I’m not even hungry! I’ve got chicken in the fridge, I’m totally trying this recipe out. Thanks for sharing! Thank you! I hope that you enjoy this recipe as much as my family has! I do too have some chicken in my fridge and will have to try this out sometime this weekend! It looks amazing, thank you for sharing. I’m excited to give it a try!! The only thing I would do different would be to use thighs instead of breast. Let’s face it, a little more fat in this dish won’t make a difference. They will be juicier and better tasting. Great tip, Tommy! Thank you! I’ll try it that way next time I make these. A great read, and the food looks incredible too. Would love to visit New Orleans sometime.. This absolutely looks delicious. Reading on an empty stomach. Definitely will try.